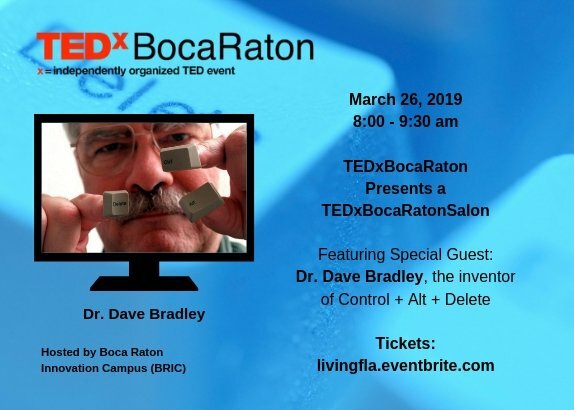 Boca Raton Innovation Campus (BRIC) in partnership with TEDxBocaRaton are happy to host Dr. Dave Bradley along with other former IBM employees to campus on Thursday, March 26 from 8am-9:30am. Bradley is the man behind the invention of “Control+Alt+Delete” – originally developed at BRIC. This event will take a historic walk down memory lane and will include never-before-seen footage of meetings with Bill Gates! Parking is available in the 5000 T-Rex Avenue parking lot. Upon entering the building, you will make a right and follow signage down to the Conference Center. The International Beatles On The Beach Festival, April 25-28.Free - Add Your Community Events to Our Calendar!